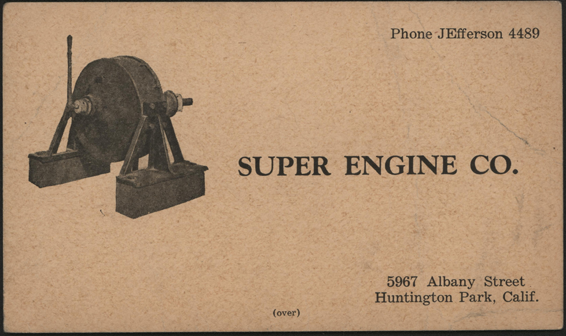 The Super Engine Company produced a six-cylinder steam engine and promoted its use for a wide variety of power and transportation uses. 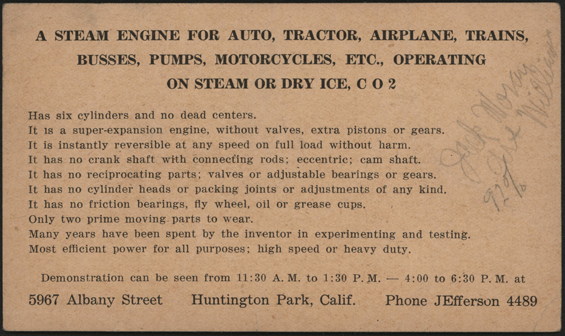 This advertising card promoted the Super Engine Company's six-cylinder steam engine for Auto, Tractor, Airplane, Trains, Busses, Pumps, Mototcycles, etc. Contact us if you have additional information about the Super Engine Company, or if you have questions.